Fun-to-color wall or door hanger. All the materials you need. 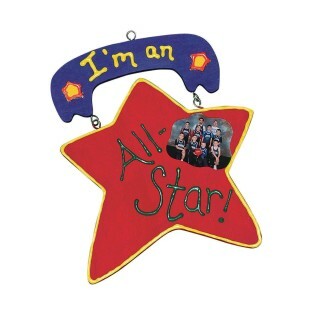 Embellish with glitter, stickers or beads! 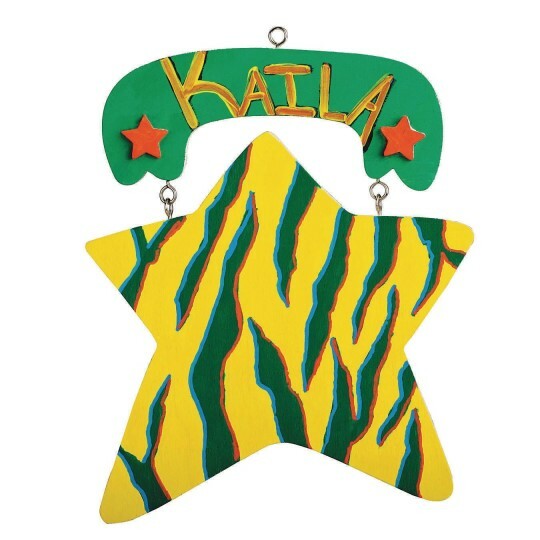 Swinging star makes a bold, colorful craft! 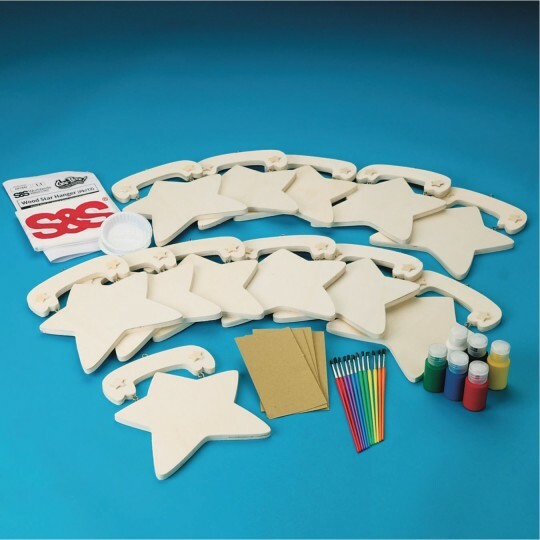 Includes hangers, brushes, paints, sandpaper and instructions. 7-1/2" x 6-1/2".